By default domain users do not have permissions to install the printer drivers on the domain computers and their installation requires the user to have a specific rights (as a rule the local Administrator rights). This is great from the point of security, because installation of the incorrect or fake device driver could compromise PC or degrade the system performance. However, this approach is extremely inconvenient in terms of IT-department, because it requires Support-team intervention when user tries to install a new printer driver. You can allow non-administrators to install printer drivers in Windows 10 on their computers (without need to giving users local Admin rights) using Active Directory Group Policies. At first, create a new (or edit an existing) policy and link it to the OU (AD container), which contains the computers on which is necessary to allow users to install printer drivers (on a separate computer, the same setings can be implemented using local policy editor – gpedit.msc). 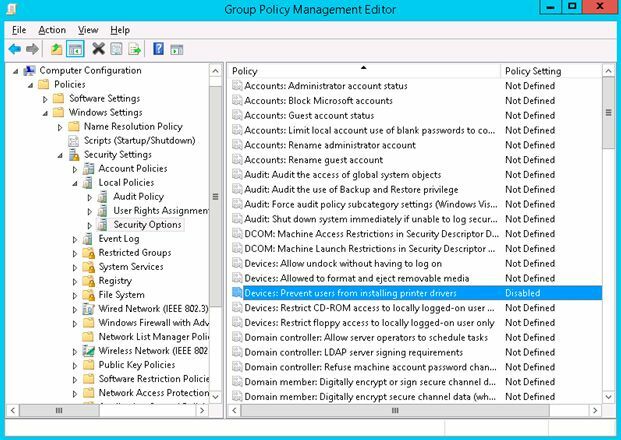 Expand the following branch in the Group Policy editor: Computer Configuration -> Policies -> Windows Settings -> Security Settings -> Local Policies -> Security Options, where you need to find the policy Devices: Prevent users from installing printer drivers. Disable this policy. This policy is allow non-administrators to install printer drivers as a part of connecting to a shared printer. The next step is to allow user to install the printer drivers via GPO. 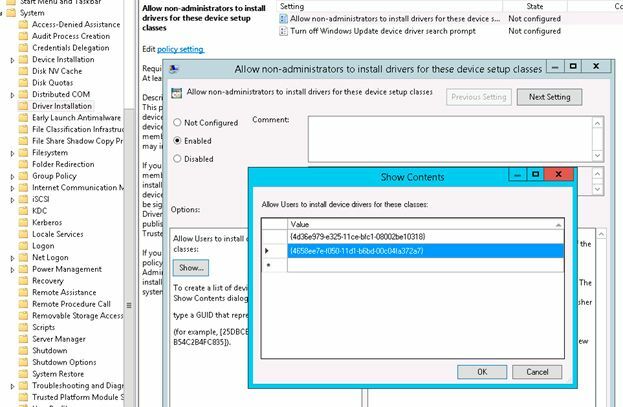 In this case, we are interested in the policy Allow non-administrators to install drivers for these device setup classes in the section Computer Configuration -> Policies -> Administrative Templates -> System -> Driver Installation. You can find full list of the device class GUIDs in Windows here. In Windows Vista and higher there is another feature relating to the UAC, which occurs when you are trying to install a network printer. In that case, if UAC is enabled, a message appears in which you want to specify the credentials of Administrator. 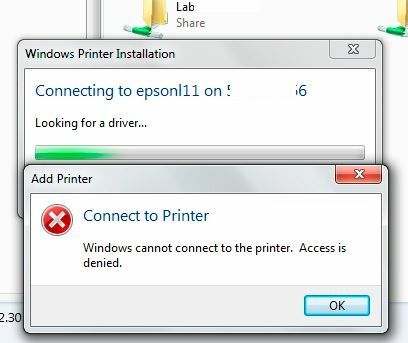 If UAC is turned off when you try to install the printer by the common user – the system freezes for some time and finally displays an error message: “Windows cannot connect to the printer. Access is denied “. It remains to test the policy on clients (requires restart). 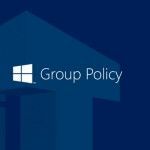 After rebooting and applying Group Policy, you will allow users to install printer drivers without Admin rights.